This is one of those myths where the truth is the exact opposite. One of the most appealing aspects of installing a tankless water heater is that it consumes less energy than a standard storage tank system. The conventional water heater loses energy to standby heat loss and has to replace it, regardless of whether there’s demand for hot water or not. A tankless system is an “on-demand” water heater that only heats up water when a tap turns on to request it. Going tankless means saving money. This is a misunderstanding that a tankless water heater can’t keep up the heat supply, so cold water will at times interrupt the hot water flow. 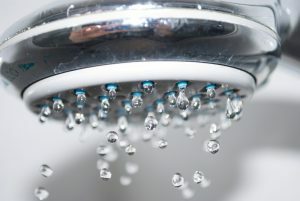 When a tap comes on, the heating elements in the water heater turn on and stay on until the demand for water stops. This means the water is always heated, no matter what. This is true only if the water heater was poorly installed. If a professional sizes the water heater to match the home’s demand (temperature rise and flow rate), the system will be able to deliver as much hot water as the household needs. And it won’t run out of water, it will always heat up more! The only concern with tankless systems is when too many taps are on at once demanding hot water, which can overflow the water heater. But this is something the installation expert will take into account. You can adjust a tankless water heater’s temperature to fit your personal needs—and this has led some people to believe the water heater may raise the temperature too high, creating a scalding danger. However, storage tank water heaters can also have their temperatures adjusted. As long as you don’t set the water temperature higher than 140°F, a tankless water heater won’t present any dangers. We recommend considering going tankless for your next installation: you can save on heating bills, enjoy continuous hot water, and get a longer service life from the system. Talk to our water heater professionals for more details. Schedule water heater installation today. Bob Mims Heating & Air Conditioning—Serving Staten Island’s Heating and A/C needs since 1955.